The Consumer takes a connection (or channel) and a list of queues to consume from. Several consumers can be mixed to consume from different channels, as they all bind to the same connection, and drain_events will drain events from all channels on that connection. examples/rpc-tut6/ in the Github repository. RabbitMQ defines a consumer priority extension to the amqp protocol, that can be enabled by setting the x-priority argument to basic.consume. 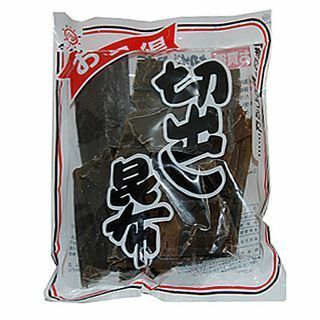 channel (kombu.Connection, ChannelT) – see channel. queues (Sequence[kombu.Queue]) – see queues. no_ack (bool) – see no_ack. callbacks (Sequence[Callable]) – see callbacks. on_decode_error (Callable) – see on_decode_error. prefetch_count (int) – see prefetch_count. Consumer does not allow this content-type. An exception will be raised if the consumer receives a message with an untrusted content type. By default all content-types are accepted, but not if kombu.disable_untrusted_serializers() was called, in which case only json is allowed. Add a queue to the list of queues to consume from. This will not start consuming from the queue, for that you will have to call consume() after. By default all entities will be declared at instantiation, if you want to handle this manually you can set this to False. List of callbacks called in order when a message is received. The signature of the callbacks must take two arguments: (body, message) , which is the decoded message body and the Message instance. End all active queue consumers. This does not affect already delivered messages, but it does mean the server will not send any more messages for this consumer. Cancel consumer by queue name. The connection/channel to use for this consumer. Can be called multiple times, but note that while it will consume from new queues added since the last call, it will not cancel consuming from removed queues ( use cancel_by_queue()). Return True if currently consuming from queue’. Declare queues, exchanges and bindings. This is done automatically at instantiation when auto_declare is set. This is a simple flow-control mechanism that a peer can use to avoid overflowing its queues or otherwise finding itself receiving more messages than it can process. The peer that receives a request to stop sending content will finish sending the current content (if any), and then wait until flow is reactivated. Flag for automatic message acknowledgment. If enabled the messages are automatically acknowledged by the broker. This can increase performance but means that you have no control of when the message is removed. Callback called when a message can’t be decoded. The signature of the callback must take two arguments: (message, exc) , which is the message that can’t be decoded and the exception that occurred while trying to decode it. Optional function called whenever a message is received. When defined this function will be called instead of the receive() method, and callbacks will be disabled. So this can be used as an alternative to callbacks when you don’t want the body to be automatically decoded. Note that the message will still be decompressed if the message has the compression header set. The signature of the callback must take a single argument, which is the Message object. Also note that the message.body attribute, which is the raw contents of the message body, may in some cases be a read-only buffer object. If set, the consumer will set the prefetch_count QoS value at startup. Can also be changed using qos(). Purge messages from all queues. This will delete all ready messages, there is no undo operation. The client can request that messages should be sent in advance so that when the client finishes processing a message, the following message is already held locally, rather than needing to be sent down the channel. Prefetching gives a performance improvement. The prefetch window is Ignored if the no_ack option is set. prefetch_size (int) – Specify the prefetch window in octets. The server will send a message in advance if it is equal to or smaller in size than the available prefetch size (and also falls within other prefetch limits). May be set to zero, meaning “no specific limit”, although other prefetch limits may still apply. prefetch_count (int) – Specify the prefetch window in terms of whole messages. apply_global (bool) – Apply new settings globally on all channels. A single Queue, or a list of queues to consume from. Method called when a message is received. This dispatches to the registered callbacks. body (Any) – The decoded message body. message (Message) – The message instance. NotImplementedError – If no consumer callbacks have been registered. Asks the broker to redeliver all unacknowledged messages on the specified channel. requeue (bool) – By default the messages will be redelivered to the original recipient. With requeue set to true, the server will attempt to requeue the message, potentially then delivering it to an alternative subscriber. Register a new callback to be called when a message is received. The signature of the callback needs to accept two arguments: (body, message) , which is the decoded message body and the Message instance. Revive consumer after connection loss.